The coasts of New Brunswick and Quebec from Miramichi Bay to Les Mechins, Que., including Chaleur Bay and the Bay of Gaspe. 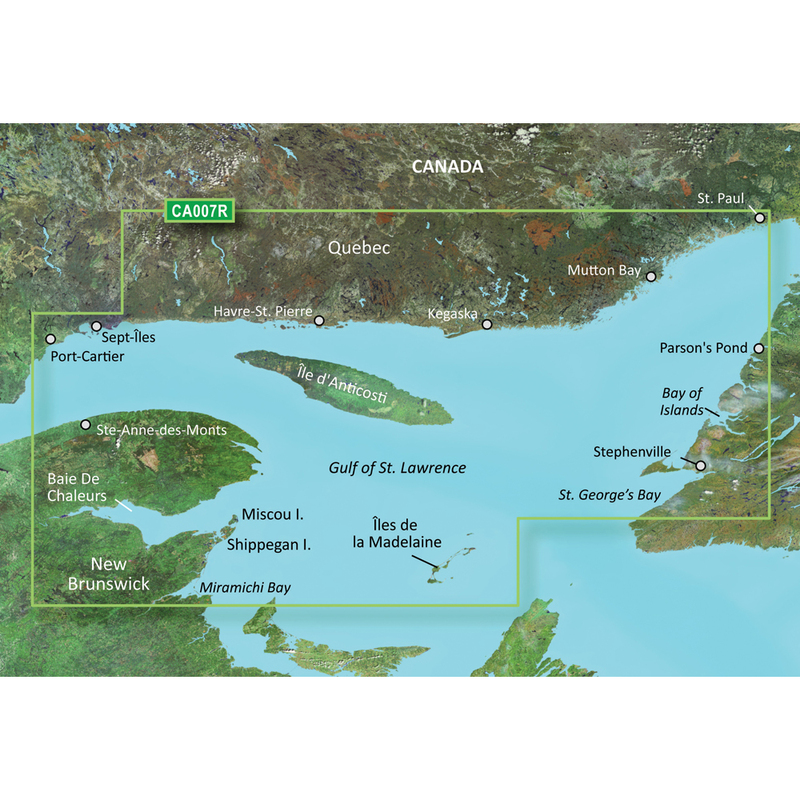 Also covers the coast of Quebec to the north from Port-Cartier to St.-Augustin, including Sept-Iles and Havre-St.-Pierre. Also includes Ile d'Anticosti and the St. George's Bay area of New Foundland.